In the final weeks before this year's elections, a super PAC called Key Questions, Key Answers started buying TV ads across Pennsylvania attacking Tom Wolf, the Democratic candidate for governor. "Don't vote for a wolf in sheep's clothing," the narrator says in one of the ads as a sheep with Wolf's face bleats the word "taxes." Like all super PACs — outside groups allowed to take unlimited amounts of money from individuals, corporations and unions — Key Questions must disclose its donors. But last week, Key Questions told the Federal Election Commission it had just one, a social welfare nonprofit called Let Freedom Ring. 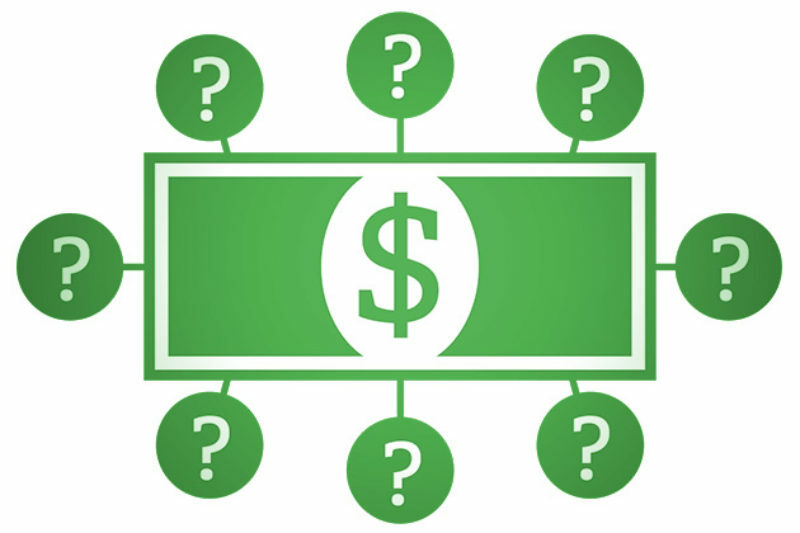 Since social welfare nonprofits — sometimes called dark money groups — aren't required to identify their donors, it's impossible to say who's really behind Key Questions' last-minute ad blitz. Outside groups, including super PACs and nonprofits, have spent more than $539 million on politics in this election cycle, according to the Center for Responsive Politics, a nonprofit that monitors money in politics. That's almost twice as much as such groups spent during the 2010 midterm elections. And Alaska SalmonPAC, a super PAC that's spent more than $1.4 million to support Democratic Sen. Mark Begich and oppose his opponent, has received almost all of its funding from the League of Conservation Voters, which doesn't disclose its donors. It's not illegal for super PACs to be funded entirely by dark money unless a nonprofit is effectively acting as a straw donor, helping the real source of a contribution avoid disclosure, said Paul S. Ryan, senior counsel for the nonpartisan Campaign Legal Center. Otherwise, such donations are kosher at the federal level, he said, even if "voters are getting no useful information about where the money's coming from." Nonetheless, Ann Ravel, an FEC commissioner and the former chairwoman of the California Fair Political Practices Commission, said she saw such maneuvers as troubling end runs around disclosure requirements for super PACs. "It creates a difficulty in determining whether there's corruption in the political system," she said. Let Freedom Ring's president, Colin Hanna, is also the chairman of Key Questions. JC Callahan, another Let Freedom Ring staffer, is Key Questions' treasurer. Both groups are run out of the same office in Hanna's home in West Chester, Pa. The ads funded by Let Freedom Ring's $200,000 donation started airing earlier this month in the Harrisburg, Philadelphia and Pittsburgh markets. Hanna said he came up with the commercials to help counter the millions that Wolf has poured into his own campaign against Republican Gov. Tom Corbett. Wolf has been leading Corbett in the polls. "I felt the prevailing wisdom that Tom Wolf had the race sewed up was suspect," Hanna said. Hanna started the group back in 2004 with the help of a $1 million donation from John M. Templeton Jr., a surgeon whose father was a wealthy philanthropist and investor. Let Freedom Ring spent millions on ads attacking Barack Obama in 2008, two years before the Supreme Court's Citizens United decision helped spur a massive rise in political spending by social welfare nonprofits. Social welfare nonprofits like Let Freedom Ring are required to devote the majority of their efforts to "the promotion of social welfare," not politics, and to report how much they spend to influence elections to the Internal Revenue Service. But Let Freedom Ring's annual filings to the IRS seem to conflict with its reports to election regulators. In 2008, 2010 and 2012, Let Freedom Ring reported spending money on politics to the FEC. But on tax forms for each of those years, signed under penalty of perjury, the group told the IRS it had spent no money on politics. This appears to violate the tax code, said Brian Galle, an associate professor at Boston College Law School who specializes in nonprofits and political activity. "It's very hard to argue that you didn't know you were engaging in political activity when you're telling another government regulator that you're engaging in political activity," he said. Hanna referred questions about the tax forms to the group's lawyer, Cleta Mitchell. Let Freedom Ring may not be Key Questions' sole donor for much longer. Pennsylvania voters won't find out who it is before they head to the polls. The super PAC's next FEC report isn't due until more than a month after Election Day. Robert Maguire, a Center for Responsive Politics researcher who has investigated super PACs funded by dark money groups, said the practice runs counter to the Supreme Court's ruling in the Citizens United case. Justice Anthony M. Kennedy wrote in his majority opinion that voters would be able to "see whether elected officials are 'in the pocket' of so-called moneyed interests," thanks to disclosure requirements.